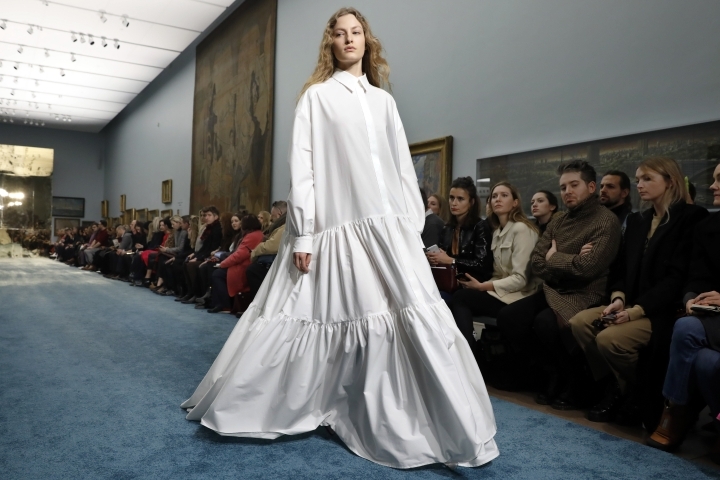 "That was white shirting," Gordon explained after Monday's show amid the elegant portraits and stained-glass windows of the New York Historical Society, the city's oldest museum. 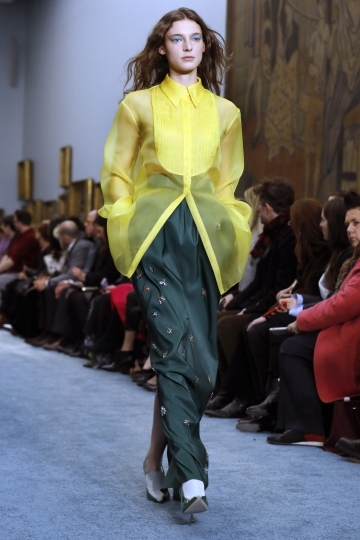 "A shirt that we stretched and exaggerated and expanded into a huge gown. So (we were) really playing with that house code a little bit." 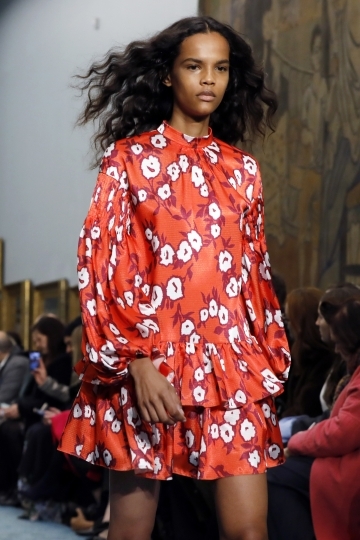 White shirts aside, Gordon, who succeeded Herrera as creative director a year ago, was mainly interested in color this season. Lots of color, including bold oranges and blues, and a yellow not for the faint-hearted that Gordon calls "taxi-cab yellow." 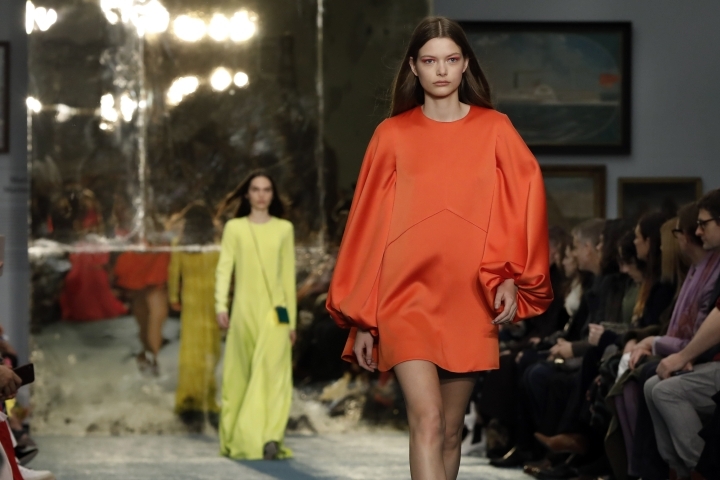 "I love color, and the starting point was to build a beautiful palette that we could work with this season," Gordon said backstage. And he was thinking about flowers, too, specifically the floral still-lifes of photographer Robert Mapplethorpe, whom Gordon calls "an indelible figure to the Herrera story," for his portraits of the Venezuelan-born designer, who remains the company's brand ambassador. 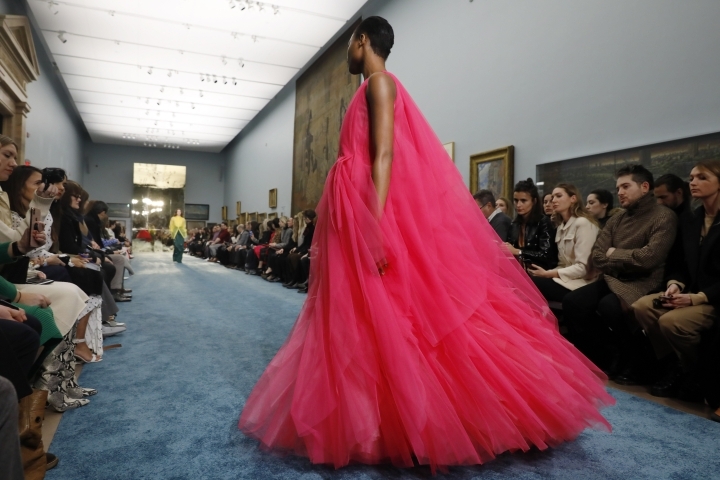 Thus, Gordon explained, one pink dress was designed to look "like an orchid unraveling" as the model walked the runway. There were certainly some looks — big, loose silhouettes in eye-popping colors, including a large anorak — that didn't quite square with the very refined ethos of the label from past years. Gordon said there was a natural evolution into bolder and more relaxed looks. 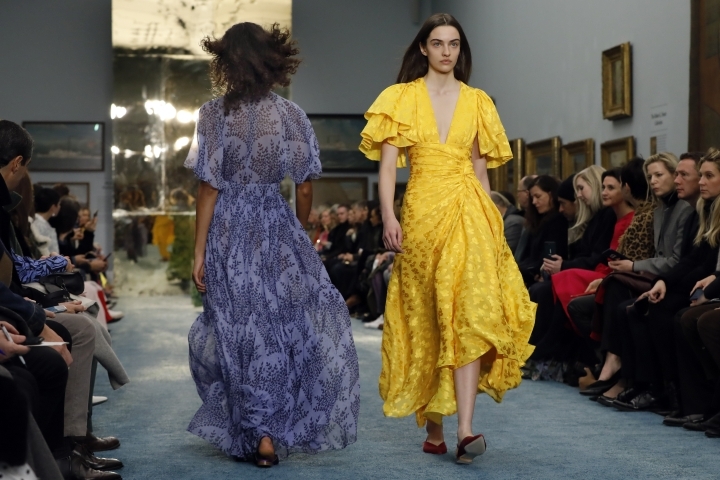 "Herrera has always stood for elegance, and my message now is that elegance doesn't have to be uptight, elegance doesn't have to be formal, elegance doesn't have to be too serious," he said. 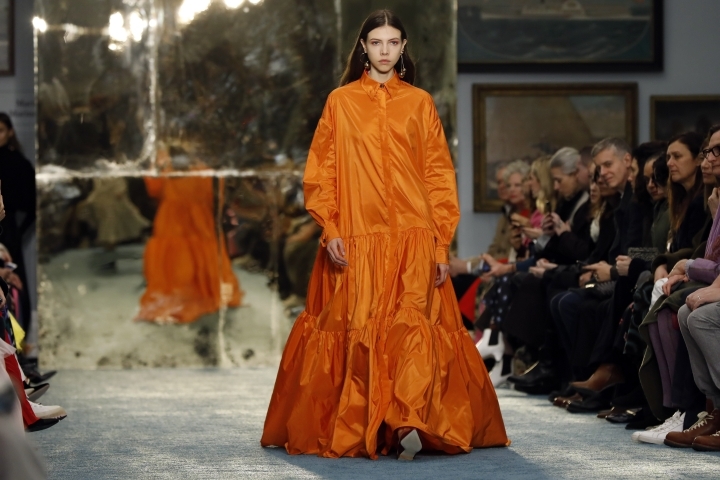 "Elegance can have laughter, elegance can have joy, elegance can be bright orange, elegance can be a micromini, it can be a huge billowy floating gown, and it can be modern and young, too." Gordon said he's spent the last year traveling around the world meeting customers, speaking to "real women and learning how they wear the clothes, where they wear the clothes." He said that for him, the ideal customer "doesn't keep her favorite china for some special occasion. She uses it for breakfast just by herself. And she doesn't set aside a garment waiting for a day in the future to wear it, keeping it wrapped in tissue paper."